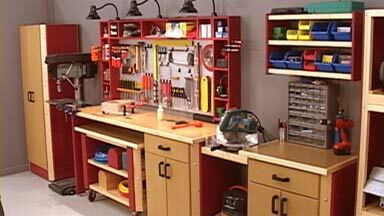 With a few sheets of plywood, MDF, some 2x4s, and common hardware, you can build this complete storage system and workcenter. It's designed for maximum utility in a minimum amount of space. Plus, you can customize it to suit your needs and shop layout.